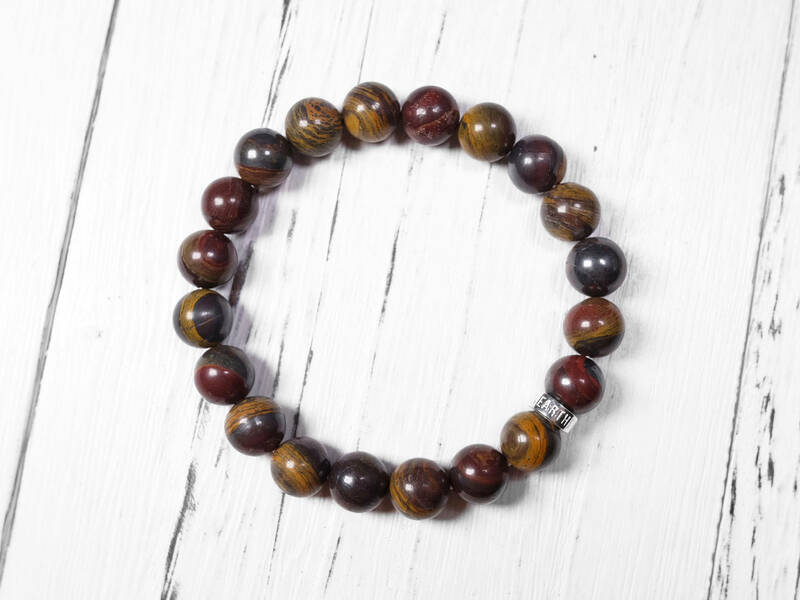 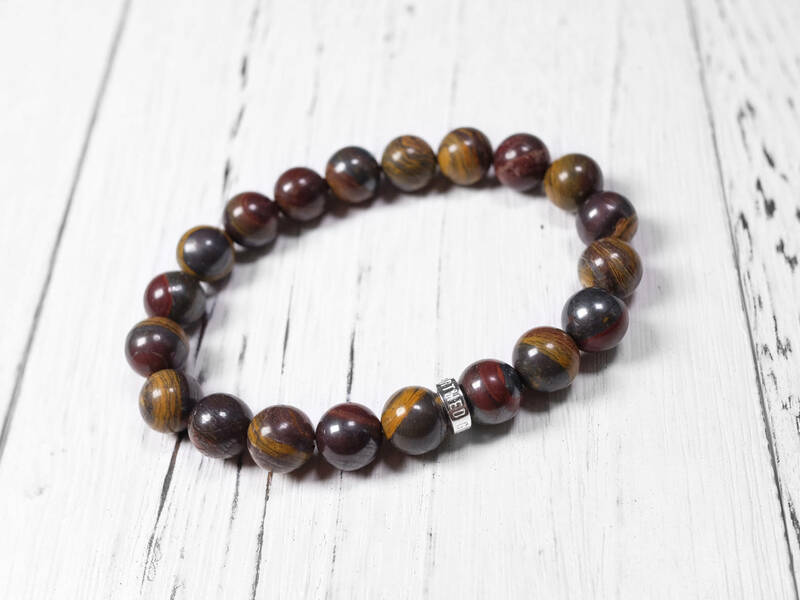 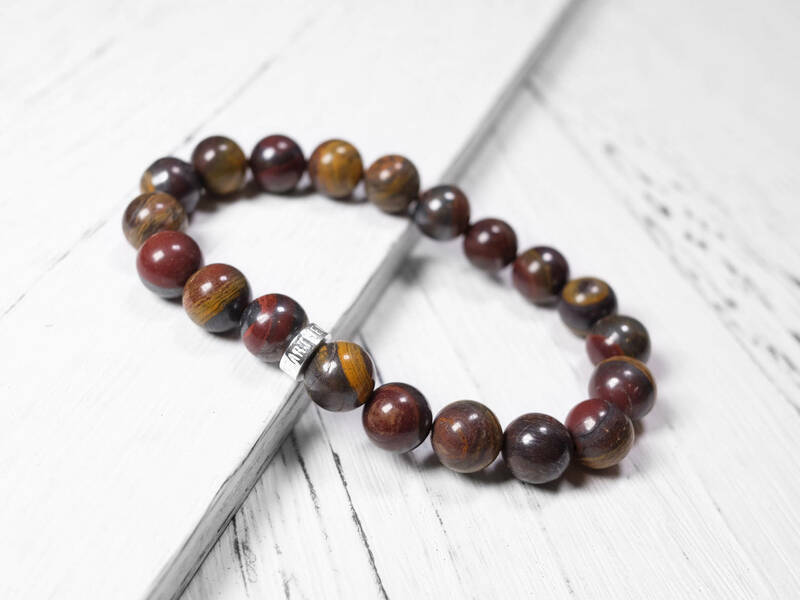 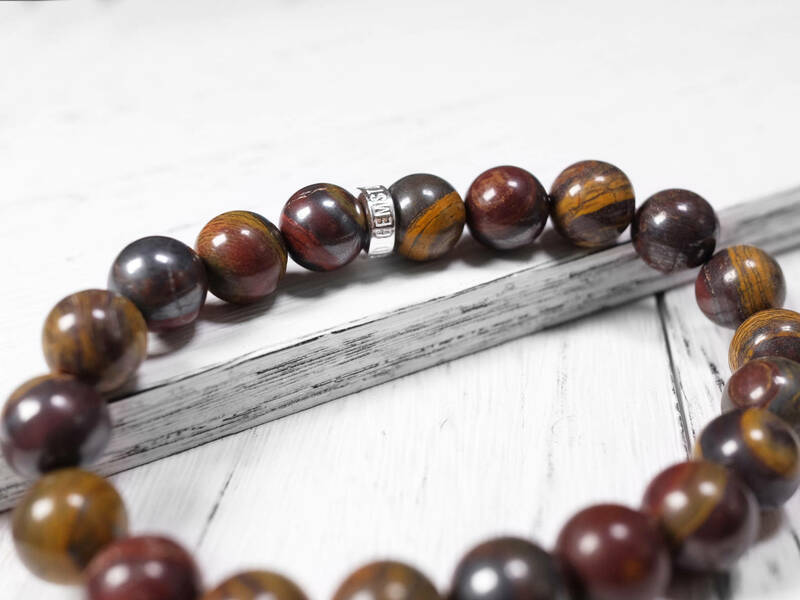 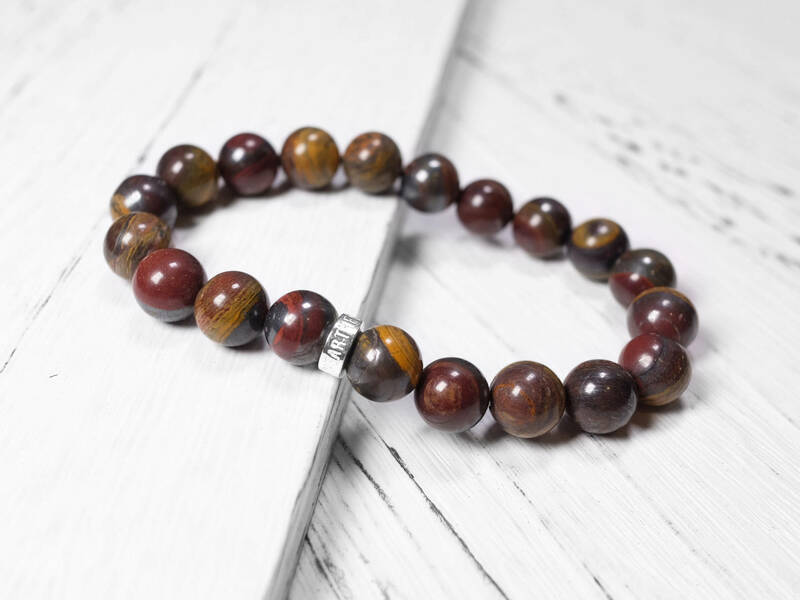 This brown bracelet is made with genuine tiger iron, which is a stone with three different minerals. 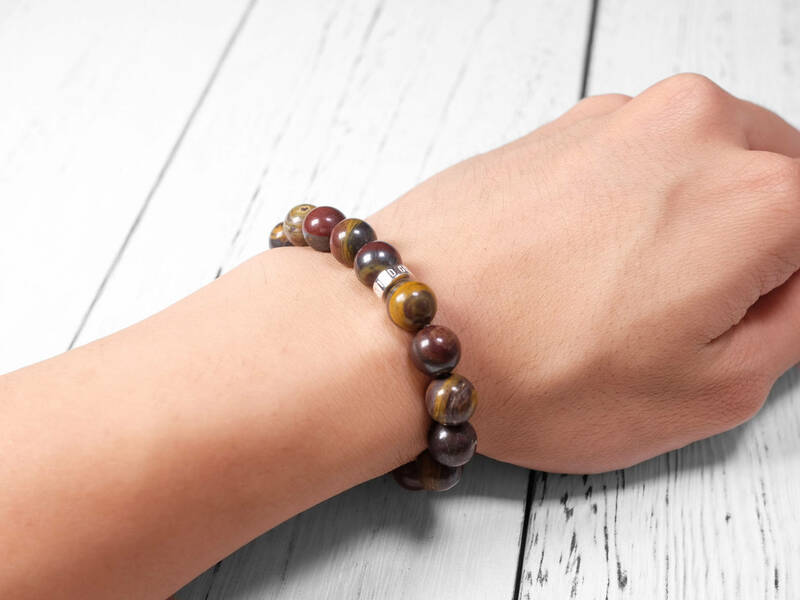 The natural colors of this stone is rich and complex, making it fun to look at closup. 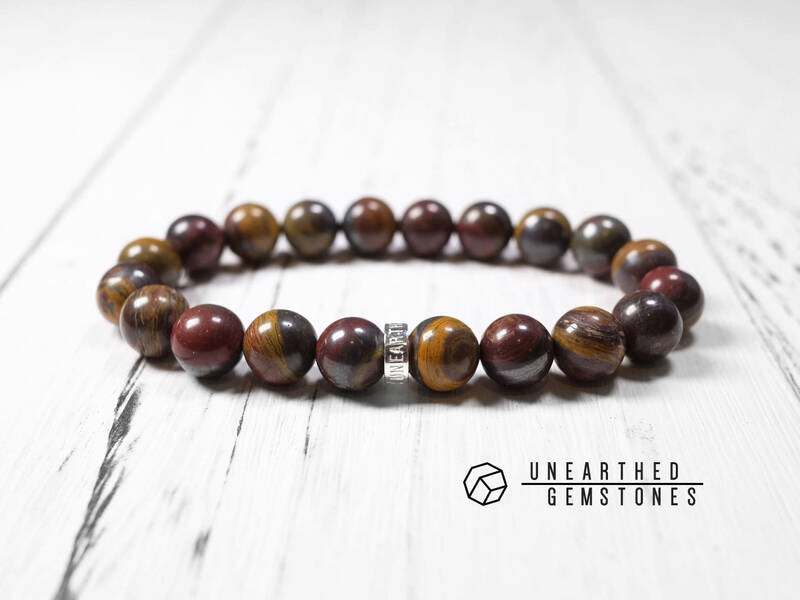 The gemstone is matched with the Unearthed Gemstones sterling silver. 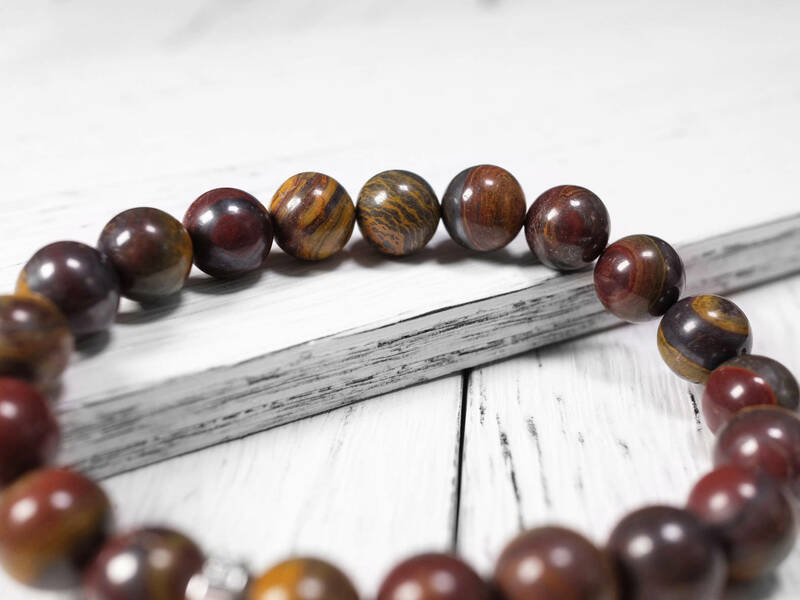 Please note that the beads of this bracelet are bigger than the other bracelets in my shop.